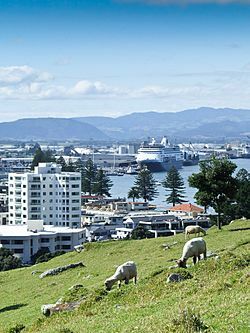 Tauranga (Māori pronunciation: [ˈtaʉɾaŋa]) is the most populous city in the Bay of Plenty Region of the North Island of New Zealand. It was settled by Māori late in the 13th century and by Europeans in the early 19th century and was constituted as a city in 1963. 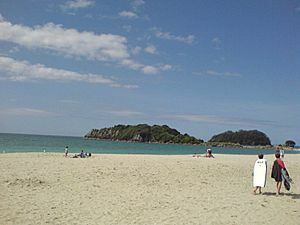 Tauranga City is the centre of the fifth largest urban area in New Zealand, with an urban population of 134,400 (June 2016). 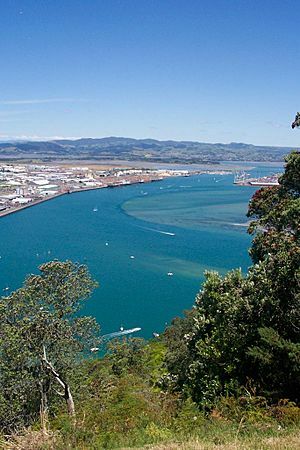 At 9 am on Friday 23 June 1826 the Herald was the first European ship to enter Tauranga Harbour. The Revd. Henry Williams conducted a Christian service at Otamataha Pā. 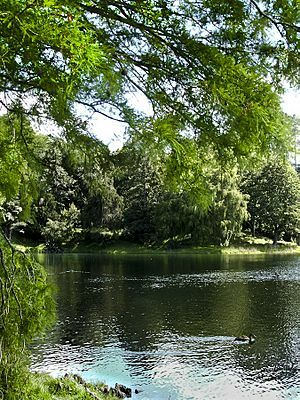 In December 1826 and again on March 2007 the Herald travelled to Tauranga from the Bay of Islands to obtain supplies of potatoes, pigs and flax. In 1835 a Church Missionary Society mission station was established at Tauranga by William Wade. Rev. Alfred N. Brown arrived at the CMS mission station in 1838. John Morgan also visited the mission in 1838. 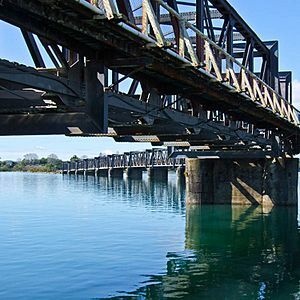 Bellevue, Bethlehem, Brookfield, Gate Pa, Greerton, Hairini, Judea, Kairua, Matapihi, Matua, Maungatapu, Motuopuhi Island (Rat Island), Motuotau Island, Moturiki Island, Mount Maunganui, Ohauiti, Omanawa, Oropi, Otumoetai, Papamoa, Papamoa Beach, Parkvale, Poike, Pyes Pa, Tauranga Central, Tauranga South, Tauriko, Te Puna, Waikareao Estuary, Waitao, Welcome Bay. 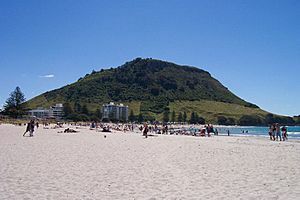 Tauranga surpassed Dunedin in 2008 as the sixth largest city in New Zealand by urban area, and the ninth largest city by Territorial Authority area. The city was growing at a rate of 1.5% in 2008. Tauranga is set to surpass Dunedin in Territorial Area by the next Census in 2018. Tauranga Facts for Kids. Kiddle Encyclopedia.